Cancer radiation is a toxic treatment method with many side effects. Radiation can lead to heart failure years after the treatment. In this post, you'll learn everything you need to know about cancer radiation therapy. Get the real facts about radiation and its adverse side effects before risking your life. ​Discover the questions you have to ask your radiation oncologist before doing a treatment. Cancer is the number 2 killer in the USA. 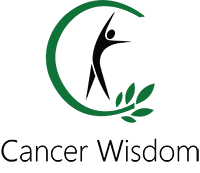 Discover what cancer is and the 12 possible causes of cancer. Learn why it is not your enemy but there to help you. Find out why cancer only develops in an oxygen-deprived and acidic body. And how you can reverse it.